John Lewis has become the first UK retailer to trial 360 advertising on Facebook as part of its "Only here" autumn campaign. Facebook's 360 Collections ads will let customer view products in a real-life setting from every angle and then with one-click go to the retailer’s website, in this case, johnlewis.com, to buy the product. The new format was created using video recordings made with a collection of cameras to create a panoramic experience. 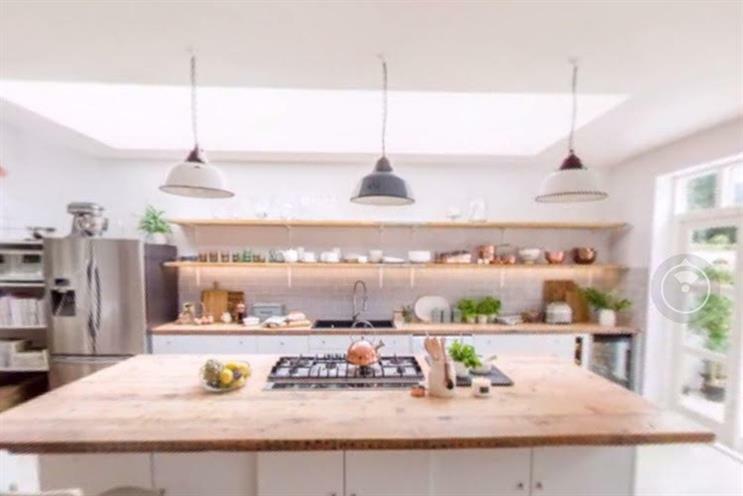 The footage for the John Lewis ad was shot by agency Punch Communications in a house in Streatham that was styled with products exclusive to the store. Eva Bojtos, John Lewis’s senior manager for social marketing, said: "We want to test this new format as demand for immersive content is growing at speed. These ads offer customers a seamless experience from being inspired by products shot in a beautiful setting to being one click away from buying the product." Facebook is an important platform to reach customers and research has found that 51% of shoppers say they’re excited that VR will play a part of their shopping experiences in the future, she added. "This trial forms part of our strategy to offer our customers more inspiring experiences both in shops and online," Bojtos concluded.